Tombow MONO SAND ERASER 52635 at Simon Says STAMP! 52635 This item is on reserve until If you would like to reserve this item now, you may purchase it now with the rest of your order. We will hold your order now and ship your entire order as soon as this item is back into stock. If you would like your order to ship now, please place this item on a separate order. Success, Tombow MONO SAND ERASER 52635 has been shared! Removes ink marks including ballpoint, rollerball and some marker. Environmentally-friendly and produced with all natural materials. Features natural rubber latex and silica grit with a 100% recycled pulp sleeve. Tombow is passionate about offering the finest and most innovative executive pens, office, arts, and crafts products on the market today. 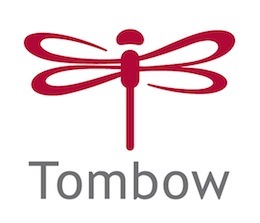 Whatever your project, from preparing documents to scrap booking to fine art projects, you can count on Tombow for unmatched quality and design. Tombow's continuing commitment to product quality and excellent service will ensure that you will be very pleased with Tombow products.